As the leaves are turning yellow, the nights are getting longer and the summer cricket season has finished, thoughts are now turning to the skiing. After a record breaking one last year, what will this season bring; I don't know but we all can hope! So without further ado out come the ceremonial scissors and the cutting of the red ribbon on Tignes 2018/19. The glacier is forecast to open a fortnight tomorrow and weather gods depending Tignes and Val D'Isere are planned to open on 24 Nov 18 - see you there! There will be a new gondola (and much swisher base station) in Les Brevieres, this will take you to Les Boisses where you will have to get off and ski to the Boisses Gondola to access the rest of the area. The old Sache Gondola has gone and well as the old chair lift from Brev to Boisses. A couple of larger cabins will have been fitted to the Grand Motte Cable car (the last element of a 3 year project which has seen just about everything changed). In the summer you will be able to ride al fresco on the roof. The bottom station has also been remodelled (hopefully the wiff of damp will have been eradicated). And just next door the Carline Café will become Cocoricos - so more lively apres ski. Over in Val, a new La Daille Gondola will replace the old one (and the Etroit chair) so hopefully that area will no longer be a bottleneck, particularly on a bad vis day). I am sure there will be many changes in the village as businesses come and go, I will have a wander round when I arrive and let you know! @chocksaway, useful links and new lift update, thanks. That Chalet Tournaval looks interesting. I’m trying to visualise location. Is it just past far end of lake, left hand side of main road, looking from 2100 centre? I remain to be convinced that this is a good idea. If the old Sache Gondola was busy (which it often was at peak times after a long boozy lunch) there was always the option to escape Brev via the chair and Boisse. Now there is only one way out, so any problems with either gondola is going to trap people in Brev. 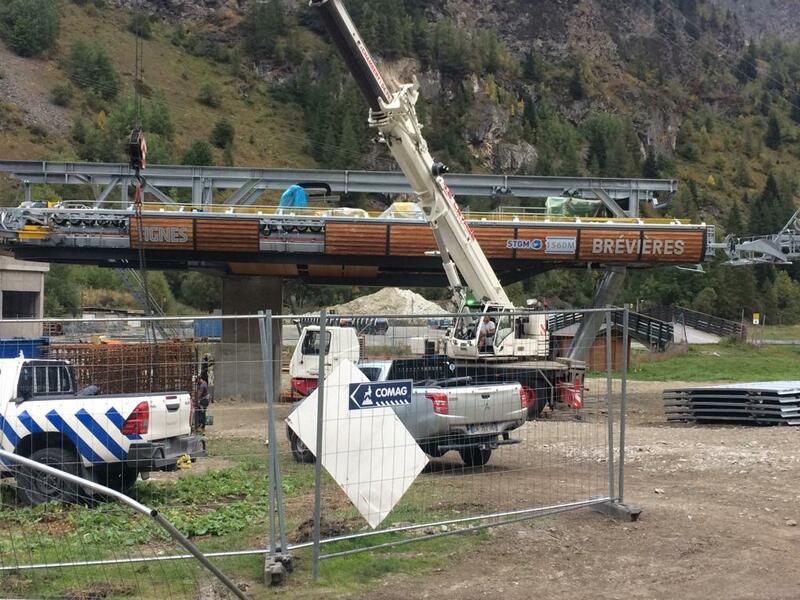 The other issue is that the queues for the Boisse Gondola out of Boissees are going to be huge, and the boarding/queuing area there isn't very big. It's also going to upset the people staying in the new CGH/Kalinda apartments that their previously quiet gondola up is now rammed. Is it too much to hope that the old Sache will be replaced with a modern gondola? Perhaps all the way up to the top of Aguille Percee/Marais with an intermediate station close to the top of the Aguille Rouge lift. @PeakyB, As you drive from Lac to Val Claret Chalet Tournavel is one of the 2 chalets on the right of the road a couple of hundred metres before the roundabout at the start of Val Claret, its a quick walk into VC and there is a bus stop at the end of the drive. (In the summer it often has broken windows thanks to wayward golf balls!!!). @Judwin, I have reservations too, I forgot to mention the Boisses gondola is getting more bubbles, so hopefully the capacity will be enough. A liftie with an electric cattle prod would be helpful though! sounds handy for Val C.
The Golf run they mention to get back to chalet. Piste or itinerary run, do you know please? - Glacier cam isn't working. - Toviere cam shows the distant glacier as having no snow at all on the runs. @PeakyB, The Golf run is one of the unpisted but pisteur secured runs in Tignes (I think they call them Naturides - there's one up the Col de Ves). However, it is properly black and if its a while since it snowed then it can get bumpy. That said you can ski down anywhere on the Lognan off piste area so there are easier ways down (IMHO) but they probably don't want to risk promoting that on a website. I'd make sure the cable car is open again, before venturing up there. Nice early post just to get everyone on the mood. @chocksaway, thanks again. Yes I remember that Golf run now, though it’s been 4 or 5 years since I skied it. Thank you @chocksaway for the mention of Chalet Tournavel. If you don't fancy the run back either by Golf or the off piste adventure just hop on bus, it stops at the end of the drive. I agree that unless the uplift from Boisse has increased then it could become a bottleneck. Personally I am gutted because we normally arrive on the first day in Boisse about 2pm for our late season deal with Melezes. Our lift passes did not start until the following day, so used to chuck the ski gear on and lap Boisse to Brev using the free chair. By the sounds of it, that chair has gone. . It was a great little run down for blowing off the Ski cob webs. We would do it 5 or Ski times then call it a day. 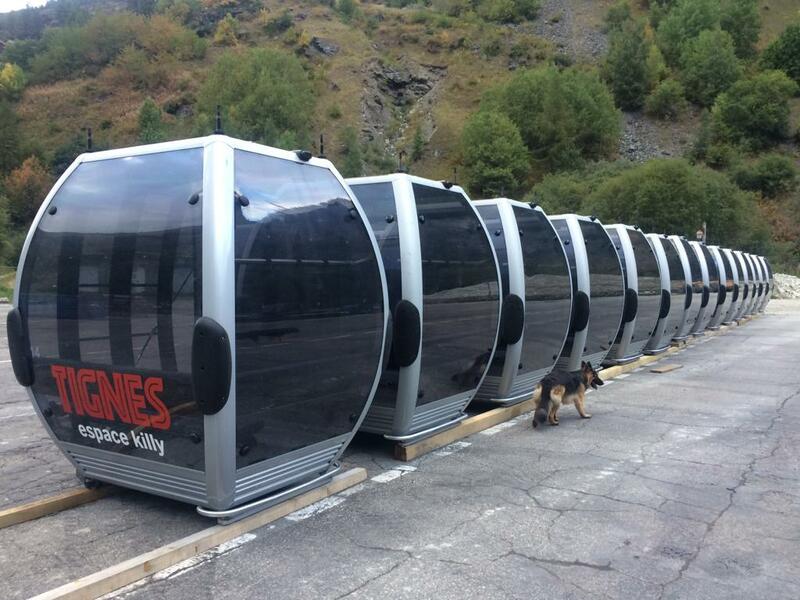 Tignes website shows it on the list of lifts that will be operating when the glacier re-opens at the end of September. In other news, the detailed (& usually reliable) Chamonix Meteo website is saying there could be snow down to 2200m next weekend . @smagsmith, Yeah, that was a decent Brucie Bonus, just like the days when a old fashioned 6 day pass was valid from 1530 the day before, not that the tour ops ever told you! Oh how I wish I'd opted to drive to Tignes this year. Family of 4, £600 in flights and now looking like another £650 in transfers. Would've been half that (or less) to drive. They really have you by the goolies going saturday to saturday don't they. Wow, where have you found a transfer that expensive? All the taxi transfers I’ve been quoted are 700-1000 euros. Which is fine when there is a minibus full of you, but not so much when just 3 adults and one miniature. Latest Brev lift update. Seems to be coming along! @Tordi, look at hiring a car or some of the transfer companies, not a private taxi. Thanks @kitenski, we can't win really because we are going for 2 weeks the car hire prices are nearly as much as a private taxi. Which is a bit frustrating when the car will just be parked for 95% of the time. Thought about Bens bus, but if there are any delays (ie waiting for other flights to get in) being sat on a coach with an impatient 3 year old will just make me wish I'd stumped up the extra £300. @Tordi, look at someone like Alps2Apls . Based on experience I reckon you're looking at approx 450-500euro return for a family of four. The discount code A2A used to be valid and may still be? @Tordi, ah yes probably makes sense, although driving all the way with said 3 year old may well have not been the most pleasant experience!! @RichClark, thank you for the code. Managed to get it down to 670 euros, the cheapest I've found so far! @kitenski, We have driven before, although he was 1 year old last time. Alas, the rest of the family are not keen on the long drive. I much prefer a civilised 12 hr drive to being herded like cattle at the airport. @Tordi, me too, its the airports that put me off. I drive down about 6 or 7 times a year. Its not too bad at all. @Tordi, I'm with you, I much prefer driving even from Leeds and means I can take multiple pairs of skis, but my two daughters and wife out voted me!! Is the glacier really in such a poor condition that they've had to stick black tape over half the webcam??!! It certainly had a bit more actual snow on it last year. Zoom in from Toviere and it looks like wind blasted ice. @nelly0168, Don't think it looks any different to this time last year, why do you think it is closed ? I did wonder whether they have needed to remodel the bottom station of the cable car to fit the new cabins and not moved the webcam. And I have looked at the cam in sept last year. There was snow on it. I can't vouch for the ice quality beneath, but snow there was. We seem to have the same differentiation on EK season passes between the 2 resorts. 1215 euros from STGM and 1012.5 from Val - if purchased by 26/10/18. Similar difference to last season. Thought it was odd last year. I can say my first lift in 2017/8 was the Toviere so the old wives' tale that you have start in Val is nonsense. Available from 1/10/18. The Val EK pass does get more expensive after that as time goes by - finishing up at 1350. Out for 3 weeks from 24/11 so makes sense to get the pass early. Val claim it is a 25% discount but only if end up paying the 1350 but at that stage you would buy from the STGM. @Mark1863, The Tignes season pass included an extra week on the glacier (plus any other runs still open) after the links to Val closed in May when I was doing seasons, which may account for the price difference.